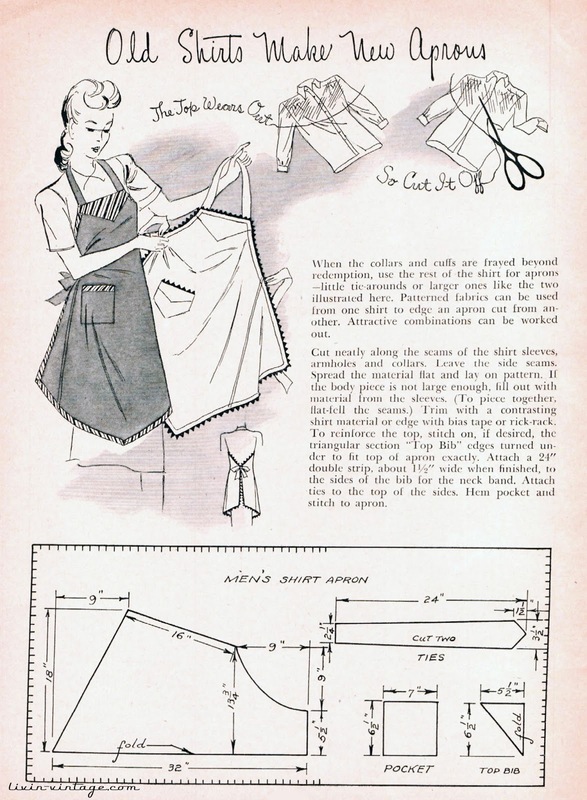 The 40s were all about making do with what you had and up cycling where you could. This apron project is perfect for modern eco conscious gal. And with spring cleaning right around the corner, I see all kinds of aprons coming in handy. This is for your personal use only. If you love this apron and want to share, feel free to pin on pinterest, link to this page, or send your friends here. Please do not repost, redistribute, or reproduce pattern for sale. Pattern may be used to make aprons for sale.